The MINI Cooper Countryman is looked at by some in the MINI world as the start of the decline of the MINI Marque. But we at M7 disagree. The Countryman is elevated into a new category and combines the best of both worlds. 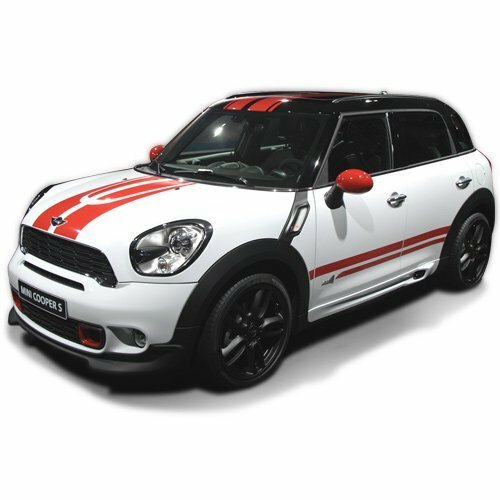 It is true MINI design, exceptional high performance curve carving handling in small package with legendary MINI styling. M7 Speed is taking the Countryman in 3 distinct directions. First as a off-road and rally inspired enthusiast vehicle. We have developed lift kits, bull bars, rear tire carriers, side steps, light bars and a whole slue of exciting M7 designed performance producing parts for this rugged crossover/SUV. Build a fully M7 equipped off-road and lifted 4WD MINI Countryman and spend weekends out in the wild with your JEEP buddies. Or if you call the northern latitudes home you can go ice fishing at a remote a lake or skiing in the mountains without waiting on the plows. Second we are developing a complete line of track inspired suspension, brake and aerodynamic parts for our favorite 4 door 4 wheel drive pocket rocket. Picture yourself in a lowered, fat tired, 300HP 4WD Turbo MINI hunting down most any high dollar supercar at your favorite track day event or casual interstate meet-up. Maybe you want to put your "traditional" MINI friends in their place. With M7 Speeds line of high quality high performance products you can build the MINI of your dreams. Hold on for a wild ride. Maybe it's time to consider a serious high performance driving school. For the practical mellow minded countryman owner who wants to add the functionality of a swiss army knife to their MINI Countryman we offer our wildly popular Ultimate Utility Hitch. Simply bolt it on, insert your favorite bike carrier, ski or board rack, cargo rack or small lightweight trailer and head down the road for a great weekend get away. Add a LED Light bar for added night driving safety. So as you can see the Countryman is a great MINI. Yes, it has stepped outside the box but in doing so it has elevated itself to supercar potential on a working man's budget.. DARE TO BE DIFFERENT and ENJOY THE RIDE!